FURUM 2017 is going to be held from 9th - 10th December at Armada Hotel. The hotel is conveniently located in the heart of Petaling Jaya, ~41 km from Kuala Lumpur Internation Airport (KUL), or ~17 km from Subang Airport (SZB). However, if you choose to travel with public transport, the hotel is only 5 minutes walking distance from the Asia Jaya LRT Station. This year FURUM has the capacity to host more concurrent events centered around our theme "Back to School". Whether you are attending a furry convention for the first time, or a savvy con-goer --- we have something exciting in store for you. Hear the basic do's and dont's during a convention. Pose for the camera and take all the happy moments home with you. Get to know your fellow fur-riends as you participate in fun-filled group challenges! Newbie or not, you're welcome to attend the dance lesson provided by our furry dancers prior to the party! Adorable and Fun sharing session on bringing out the best in your fursuit! Think you know cola? join our little sophisticated competition of distinguishing multiple brands of cola. An up close and personal session with our honorary guest that is only exclusive to Super Sponsors. Newbie or not, come join in the fun and 1up your opponents in this epic brawl. Hungry for villagers or hoping for survival? Join us for a game of The Werewolves of Miller's Hollow. Learn how to take the best shot by attending this sharing session offered by photography enthusiasts. A casual forum style panel where guests are invited onstage to share their thoughts. J.C. is a passionate artist from the oriental land of Taiwan, bringing the wonders of nature and animals to life through the marvel of illustrations and furry goods. J.C. also enjoys fursuiting and attending furry conventions. 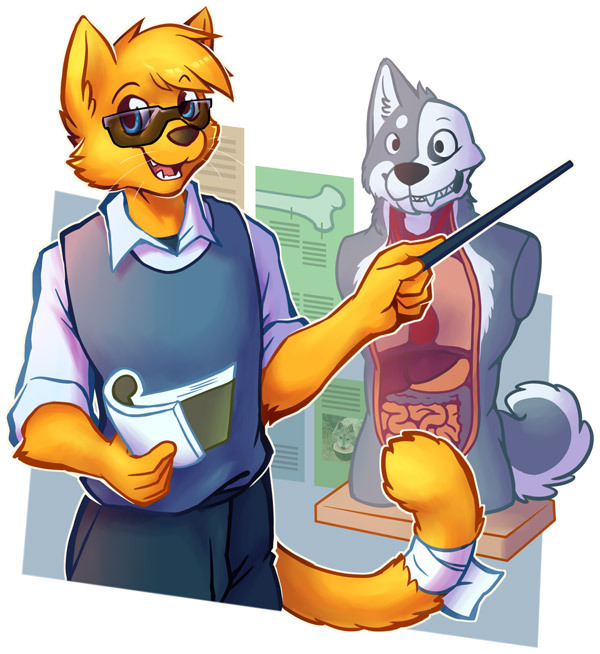 Currently the chairman of the Taiwan furry convention, Infurnity, J.C. further dapples into their love and passion for the fandom by contributing to the furry community. Registered Attendee are free to book a slot at the Dealer Den for a IBM Table (standard size of 1.5'W x 6'L x 2.5'H or 46W x 180L x 76H cm). Subject for approval.